FactSet's comprehensive market data brings you coverage across asset classes and geographies. Comprehensive coverage of equity and fixed income benchmarks, within our applications or your own in-house systems, provides the breadth of content and scale to meet your needs. With quality data you can depend on, 30 years of experience collecting and integrating data from more than 800 databases, plus unparalleled customer service through our global team of subject matter experts and technical specialists, FactSet market data keeps you connected to the global exchanges. Access benchmark data, economic intelligence, and market aggregates data to help you analyze relationships along with risk models, real-time exchange, and pricing data that help you monitor and manage risk. Access benchmark information from performance measurement and client reporting. FactSet's benchmark solution aggregates content, streamlines implementation, and delivers the highest quality data available for a range of global equity and fixed income benchmarks. A normalized format across vendors, combined with consistent symbology and our centralized global support team — available 24 hours a day, 7 days a week, 365 days a year — ensures a truly cost-effective, outsourced data management solution that frees you up to focus on your business. Index-level and constituent data for thousands of indices. Flexible output formats. Easily download core benchmark data across multiple providers in a standardized, efficient format that supports the customization you require. Outsourced data management. 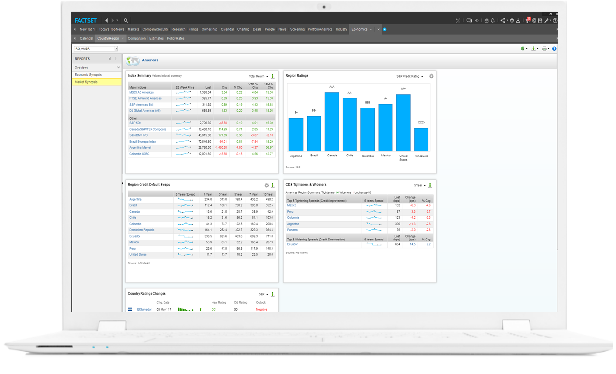 Collect, integrate, and manage benchmark content with FactSet’s comprehensive, high-quality data. Analyze and monitor economies, industries, and companies with FactSet’s fully global economic data. Access 1.9 million economic series, with economic data readily available alongside in-depth company and market statistics enabling streamlined, centralized analysis and economic intelligence. 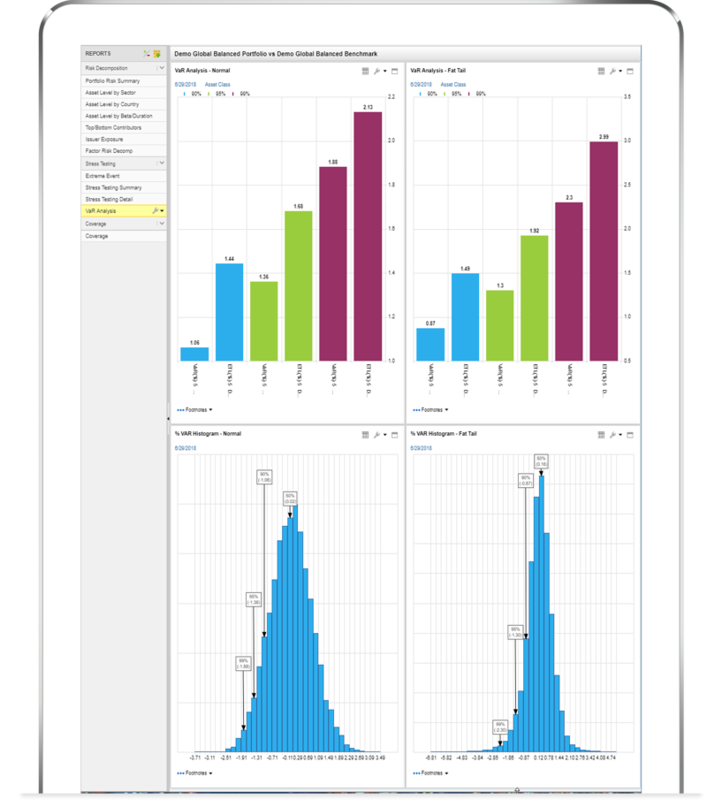 Centralize sector analysis with integrated company, benchmark, and economic data. Save time with country reports and country synopsis overview reports. Analyze aggregate data for more than 45 countries and 20 regions. 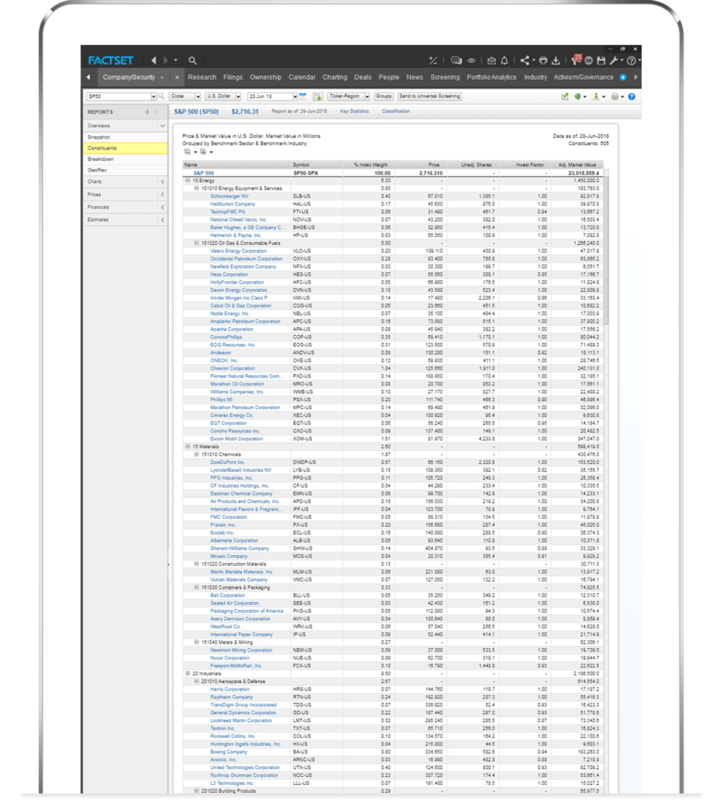 Retrieve statistics and historical data from 11 different proprietary and external databases including FactSet Aggregates, Economist Intelligence Unit, ICAP, and Markit. Retrieve historical economic data from as early as 1900. Create custom baskets of industries or markets on demand with FactSet Market Aggregates values for over 100 data items. Combine data sets to calculate specific ratios and per share values at an aggregate level, and conduct relative analysis on entire portfolios, with transparency down to security-level data. Compare forward price-to-earnings ratios for one company versus a customized basket of competitors. Audit all underlying calculations down to security-level data, including pricing, fundamentals, and estimates. Track forward enterprise value to EBITDA ratios for a single company relative to its industry. View valuation metrics for any market globally to understand trends through time. Access security reference data on multiple asset classes, with statistics from more than 200 global exchanges. 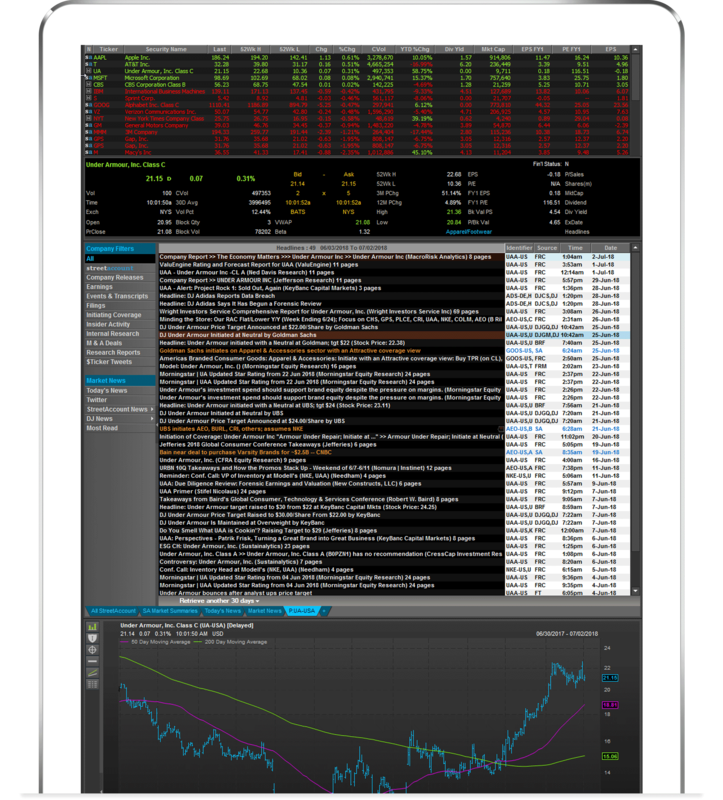 Get real-time data and market intelligence for equities, derivatives, fixed income, mutual funds, commodities, currencies, and short interest. View quotes, actual prices, and condition codes (trade types) for posted trades. See exchange and broker-level order, price, and pre-trade volume data. Track corporate actions data including events, distributions, buybacks, and more. Use FactSet Global Prices to see up to 30 years of historical prices for fixed income, derivative instruments, equities, mutual funds, and short interest with update cycles ranging from real-time to semi-monthly. Leverage our other solutions to ease the administrative burden of regulatory requirements. Monitor risk and drive portfolio performance with FactSet’s selection of risk models. Drive risk forecasting, risk analysis, risk-based performance attribution, and scenario analysis. Our risk models provide you with flexibility and choice to analyze your portfolio through multiple perspectives on risk. We're one of the only risk solutions that integrates and delivers equity risk models from leading providers including Axioma, Barra, and Northfield. FactSet’s multi-asset class risk models provide global asset coverage for equity, fixed income, currency, and commodity markets to provide a transparent view of risk distribution at the portfolio, factor, and asset level. 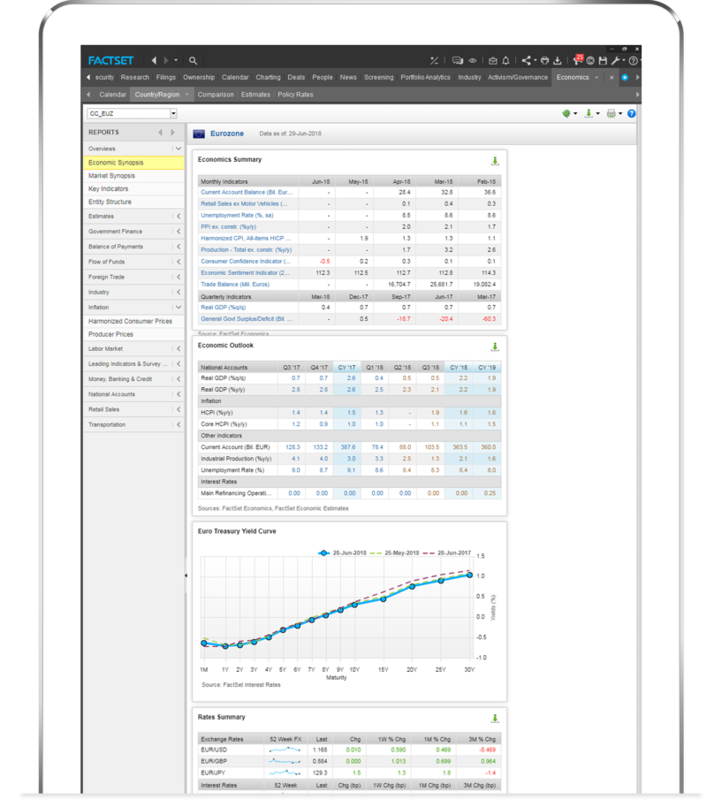 FactSet Monte Carlo Multi-Asset Class Risk Model lets you derive the absolute or benchmark-relative risk of your portfolio using a simulation-based risk model that covers global equity, fixed income, commodity, currency, alternative, and derivative markets. Simulate all the factor returns across thousands of correlated market scenarios, then reprice each asset in every simulated scenario to produce a returns distribution of portfolio outputs from which various risk statistics can be derived, such as Value-at-Risk, Expected Tail Loss, and Tracking Error. Accurately capture the risk of securities that exhibit optionality or non-linear payoffs. 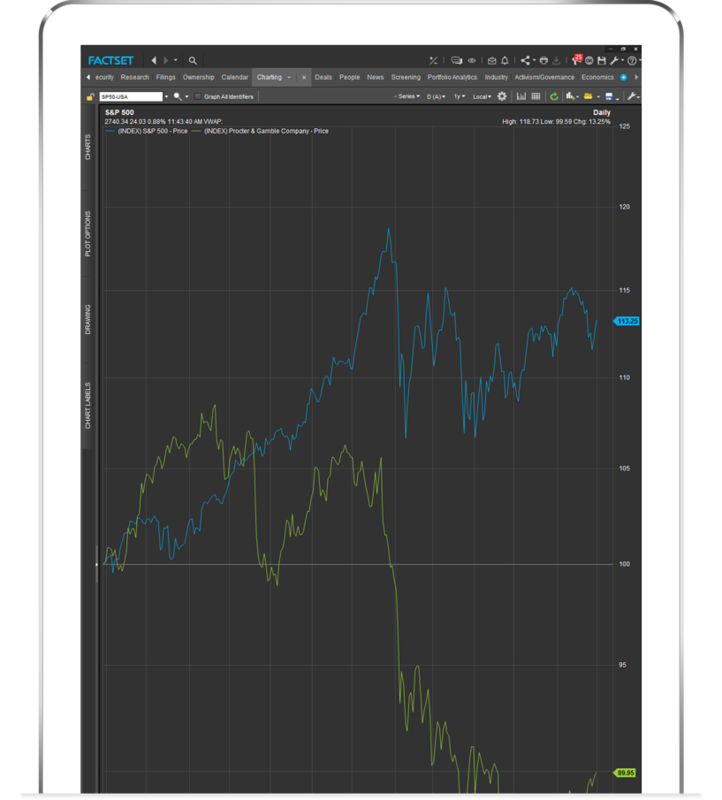 FactSet Linear Multi-Asset Class Risk Model allows for risk decomposition precisely aligned with the variables portfolio managers use for portfolio construction and optimization and is based on a set of factor models that cover global equity, fixed income, commodity, currency, and derivative markets. The linear risk model allows for calculation of various risk statistics, such as Tracking Error Volatility (TEV), Value-at-Risk (VaR), and Expected Tail Loss (ETL). It is a combination of both time series and fundamental models and incorporates relevant factors specific to each asset class. Cognity Fat-Tail Risk Model is based on in-depth scientific research and intellectual property. It incorporates dynamic probability of extreme events, tail dependence and asymmetry, and improves VaR backtesting results on risk factor, asset, and portfolio level, as well as further validates portfolio risk forecasts.